Do you wake up with tension headaches? Does your jaw hurt or click when trying to chew? You may suffer from TMD, or temporomandibular joint disorder. This indicates a problem or excessive strain within your TMJ, or the jaw joint. This type of jaw discomfort affects millions of adults each year. Typically, TMJ dysfunction is triggered by teeth grinding or teeth clenching, which often occurs subconsciously when a person is stressed or during sleep. If you experience headaches, worn teeth, jaw popping/clicking or chronic jaw discomfort, you may qualify for TMD treatment from Montevallo Family Dentistry. Dr. Shunnarah is an esteemed dentist who stays at the forefront of the latest treatments in modern dentistry, including those that involve TMJ therapy. For the sake of your comfort and your quality of life, address your jaw pain sooner rather than later. Neglecting to do so can lead to costly treatments to restore your damaged teeth as well as disruptive headaches during the day. We understand how debilitating it is to suffer from jaw pain. Not only does eating and chewing become burdensome, but it can be difficult to concentrate with chronic pressure in your jaw and head. For some, the teeth may become sore, sensitive and even damaged due to excessive clenching or grinding. At Montevallo Family Dentistry, we help patients find the most effective solution for their jaw pain. A custom oral appliance or nighttime mouthguard can be an excellent remedy for preventing teeth grinding and protecting your jaw muscles. You can trust that when choosing Montevallo Family Dentistry for your jaw pain, we are equipped to provide an accurate diagnosis of your symptoms. Not only do we utilize state-of-the-art dental equipment in our practice, but Dr. Shunnarah also brings extensive experience and training in diagnosing and treating TMJ. 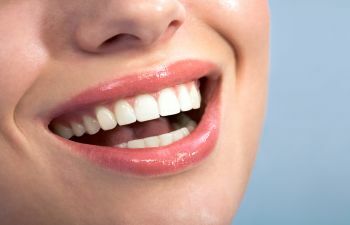 We address each patient according to their individual needs so that they can gain the most effective, long-term relief. To learn if you could benefit from TMJ treatment from Montevallo’s most trusted family dentist, please contact our office today to schedule your consultation. Your smile and your comfort are vitally important to us.